This magnificent display pays tribute to Geelong’s newest hero and Brownlow Medalist, Patrick Dangerfield. His arrival at Geelong has single-handedly ignited a Club’s premiership aspirations, and saw an entire community welcome back someone they believe is so rightfully theirs. 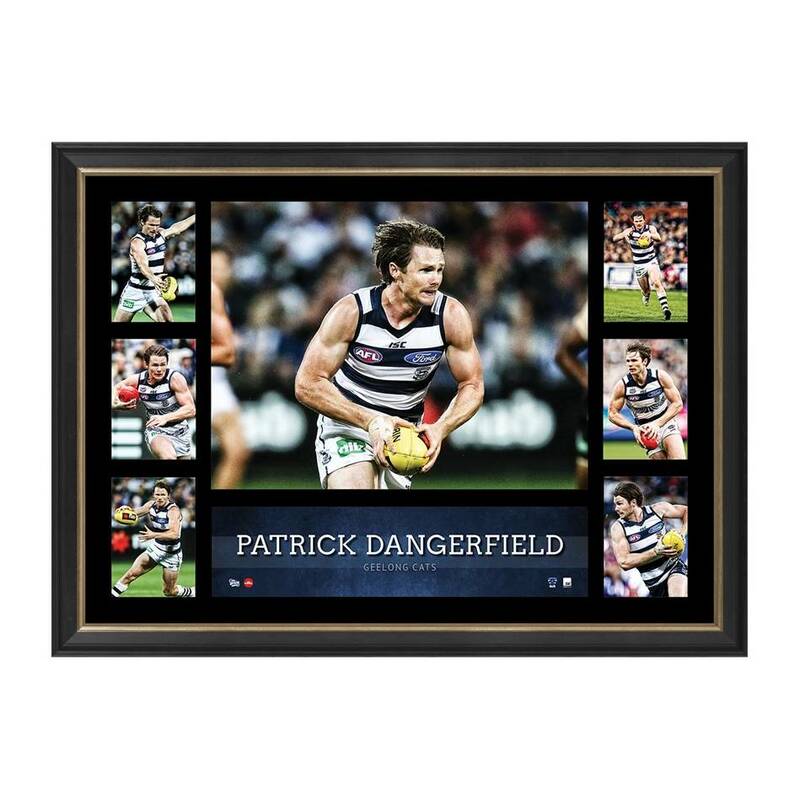 A great value memento for a die-hard Cats fan – or the perfect gift for one that you know!